No matter the time of year, there is always something you can do to make your lawn greener and healthier. We know things like watering are important. That’s why a quality lawn sprinkler system with a timer is such a great investment. But what else can you do to make sure your lawn is a lawn for all seasons? · Make sure your lawn receives the proper amount of water and fertilizer. This will help it recover from a long winter. This is the time of year when temperatures rise and grass begins to grow. · Lay your sod. Spring is a great time top lay sod because the ground is warmer and the rainy days will help with the growing process. 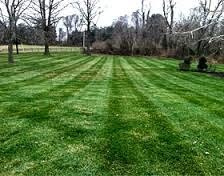 · See if your lawn needs another feeding. If it is rainy summer, your lawn may need another round of fertilizer. · Mowing with regularity. Keep your lawn mowing to a set schedule. · Add some top-dressing. Spread a quality top-dressing over the lawn. · Remove the leaves. You can rake the leaves or use a mulching mower to reduce the leaves top mulch, benefitting the lawn and the soil. · Avoid excessive walking on the lawn. Too much foot traffic can damage a fragile lawn during the cold weather. · Get rid of remaining leaves. During milder winter days, dispose of any remaining leaves on the lawn.